On Tuesday, March 7th, Check Point will have its’ much anticipated release on all formats. The online platforms releasing the film are iTunes US, Google Play, Xbox, Amazon Instant, Amazon DVD, Vudu (Walmart online), and Playstation. The cable providers are Comcast, Cos, Time Warner Cable, Brighthouse, Verizon Fios, Frontier, Suddenlink, Charter, Mediacom, CenturyLink, Google Play, Dish, DirecTV, and Blockbuster/Sling TV. The DVD retailers releasing the film are Walmart, Best Buy, Amazon.com, Netflix, Redbox, and Military Base shops. The film was directed, produced and written by multi award-winning filmmaker Thomas J. Churchill. 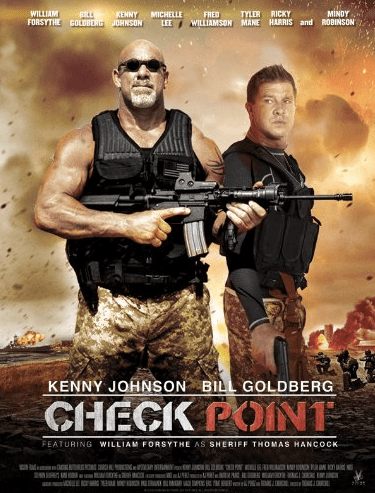 Check Point stars an ensemble cast consisting of WWE Universal Champion Bill Goldberg (The Longest Yard), William Forsythe (The Rock, Raising Arizona), Martial Arts Hall of Famer Mel Novak (Bruce Lee’s Game of Death, An Eye For An Eye opposite Chuck Norris), Kane Hodder (Jason Voorhees from Friday the 13th films), Tyler Mane (Michael Myers in Rob Zombie’s Halloween, X-Men), Fred “The Hammer” Williamson (From Dusk Till Dawn, Starsky & Hutch), Former UFC Champion John Lewis (Sons of Anarchy), Krista Grotte (Nation’s Fire, The Rack Pack, The Emerging Past) and Kenny Johnson (Bates Motel, The Shield). This project is also the last film of Ricky Harris (Heat, Dope) before his tragic and unexpected death. “I have written many scripts and produced/directed a few films. But nothing compared to where my mind went with Check Point,” said Churchill. Check Point is a very timely film considering all that is going on in the world today. This film is about a sleeper cell terrorist plot that is discovered in a small town where everyone knows one another, or so they thought they did. As justice seems lost, when an insurgent attack threatens to escalate into a full-blown invasion of the US, a team of unlikely heroes must rise up to fight the enemy and protect their beloved country. “The idea of Check Point was something that has been with me since 1987. At one time, I wanted to be in the service as my father, uncles, grandfather and even my brother served our country. But I realized that it takes a very special kind of person to wear the uniform and defend their country. At that time in my life, my mind drifted more to the cinema and I wanted to make movies…where people can escape their worries and problems and lose themselves for a bit and get caught up in the world of cinema,” he added. Other projects this multi-talented filmmaker has worked on are the two time award-winning retro-film noir zombie epic-Lazarus: Apocalypse starring James Duval (Independence Day), which won best horror film at The New York City International Film Festival. He also wrote, produced, directed and starred in the eight-time award-winning horror film The Emerging Past Director’s Cut. He also produced and portrayed the sheriff in the indie film Mr. Hush. Churchill was also seen by millions on the SyFy Network’s hit series Monster Man in episode #2 titled The Forbidden Werewolf. 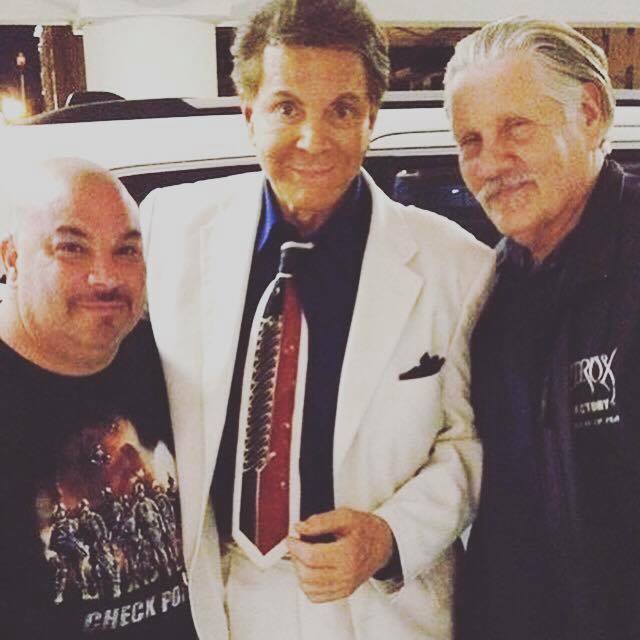 This talented multi-hyphenate had a memorable role in the new cult classic Samurai Cop 2: Deadly Vengeance with a talented ensemble cast consisting of Bai Ling (The Crow), Tommy Wiseau (The Room), Laurene Landon (Airplane 2: The Sequel), and Dawna Lee Heising (Pond Scum), and was reunited with Novak. He will also star with Novak and Landon in the upcoming Syndicate Smasher. Next on deck for Churchill is epic action thriller Nation’s Fire, ​starring Grotte, which he wrote and will be directing. Also on deck for him is an edgy new anthology TV series, Cold Plastic, ​which he also wrote and is directing as well. Both projects are being production in conjunction David M. Parks’ Apothecary Entertainment.